Toronto is frequently the seat of international commercial arbitrations. All of the major international arbitral organizations including the ICC, LCIA and ICDR will arrange arbitrations in Toronto. Toronto is also home to two Canadian arbitral organizations – ADRI (non-profit) and ADR Chambers (private) with their own rosters of arbitrators and set of arbitral rules. TCAS members regularly sit as arbitrators in these institutional arbitrations. Until recently, ad hoc arbitrations were the norm in Canada. These arbitrations do not usually require the services of an arbitral institution to assist in conducting the arbitration process. 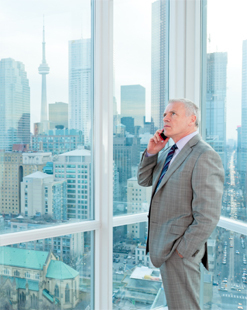 Rather, the arbitration is governed by the parties’ own rules established in their arbitration agreement and, for arbitrations seated in Toronto, the Ontario arbitration statutes. Parties can also adopt the UNCITRAL Arbitration Rules which were designed for ad hoc arbitration. If the parties to an ad hoc arbitration have not agreed on a procedure for the appointment of an arbitrator and are otherwise unable to agree on who should act as arbitrator, Ontario’s arbitration statutes provide the courts with the power to appoint the arbitrator. However, these statutes do not set out factors to be considered by the court in appointing an arbitrator or arbitral tribunal. The only explicit statutory criteria are that the arbitrator must be independent of the parties and must act impartially. Arbitration provisions in commercial agreements often contain general, or sometimes specific, language requiring that the arbitrator have education or expertise in a particular area. What characteristics are desirable in an arbitrator? In general terms, the satisfaction level of clients and counsel with an arbitration hearing is determined by the same set of factors that lead to satisfaction with a conventional trial. As a result, the most sought-after commercial arbitrators in Canada tend to be those with a reputation for delivering fair, balanced, timely, unbiased and thoughtful awards. TCAS provides a searchable member database to assist you in selecting an arbitrator. In addition, it is wise to conduct electronic legal database searches on the proposed arbitrators’ names in order to collect reliable information on potential arbitrators. These can produce cases in which the potential arbitrators have appeared as counsel, presided as judges or where arbitral decisions have been reviewed by the courts, which sometimes yields helpful background information on the potential arbitrators’ conduct of prior proceedings. A more recent trend in Canada (already common practice in the US and Europe in the context of international arbitration) is to interview potential arbitrators to assess their qualifications and availability to hear the matters in dispute.